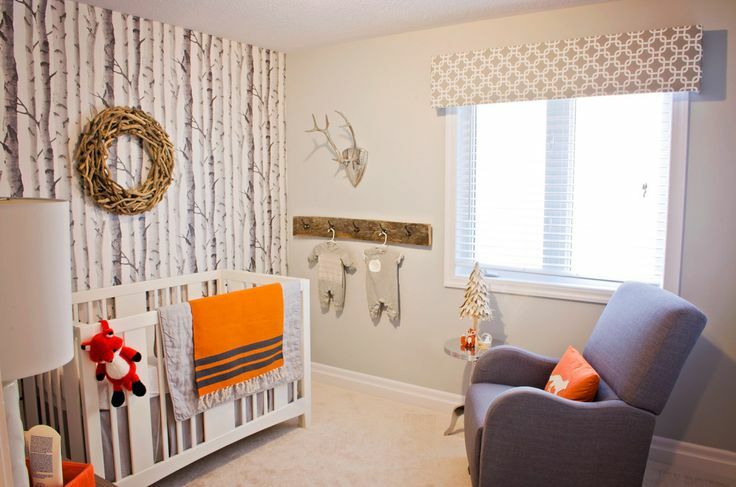 Now that Christmas is over and life is returning to normal it’s time to start looking ahead and for us that means thinking about our new arrival, and for me, how to decorate the nursery. When we were expecting O we knew that the spare bedroom at the front of the house was going to become the nursery. We had planned to try for a second baby when O was around one and our plan was to then move O into the study and keep the larger bedroom as the nursery. Well, life has a habit of not working out as you expect and as the second baby didn’t arrive we kept O in the nursery. We didn’t particularly decorate it as nursery, it was quite a neutral room expect for one wall that was papered and we added some accessories from the Mamas and Papas Gingerbread range and it is only recently we have changed the room especially for O to make it a proper little boys bedroom. This time round I am very excited to be able to decorate the nursery from scratch. We are turning what was the old study into our new baby boys room and it is a blank canvas so I have been doing my research and looking for a theme. The Gingerbread range was quite bright and colourful and specifically chosen because it was unisex and we always thought we could use it again with a second child, whether it was a boy or a girl. 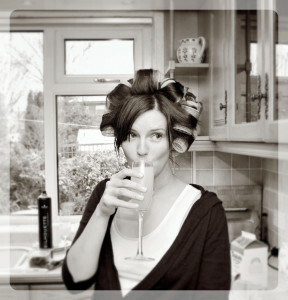 As lovely as it was, the range has now been discontinued and personally I fancy a bit of a change for baby two. 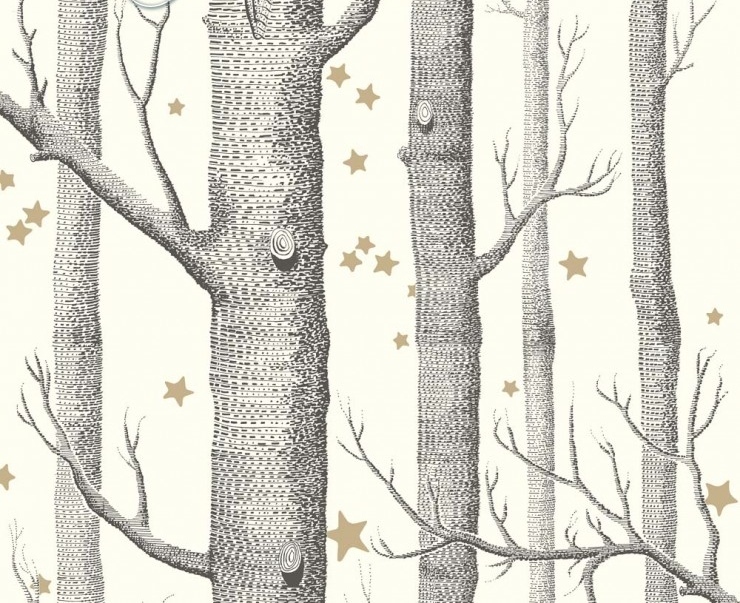 I’ve spent the past week or so searching Pinterest for inspiration and having a trawl of the interest and these are my favourite five wallpapers for the nursery. I really like the colours and the design of this print but my main concern is that it is a little bit wintery and as our little boy will be a June baby it does put me off a little. A shame as it beautiful. 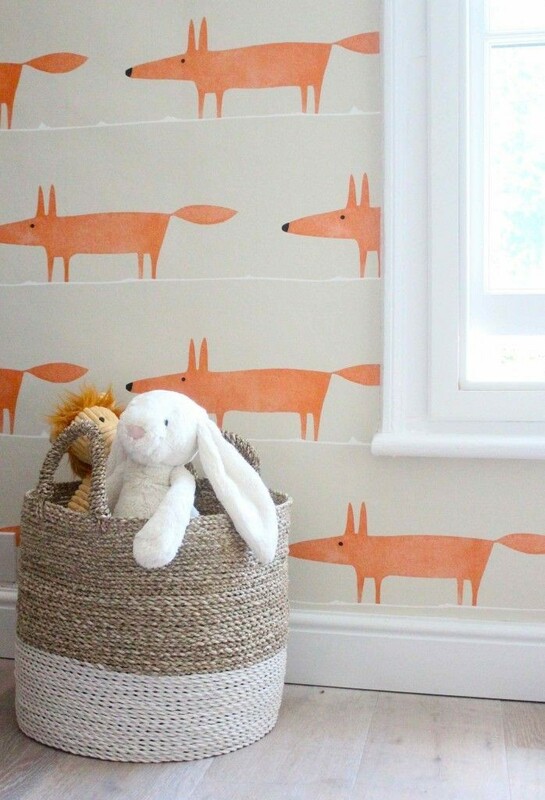 For some reason I have been drawn to a bit of a woodland theme for the nursery and I like the splash of colour that comes from Mr Fox whilst having a fairly neutral background. We will be using O’s old nursery furniture which is cream and would go perfectly with a few orange accessories. Continuing with the woodland theme I really surprised myself my liking this but I really do. I think it would make a gorgeous feature wall and you could really have fun with the extras in the room. 4. 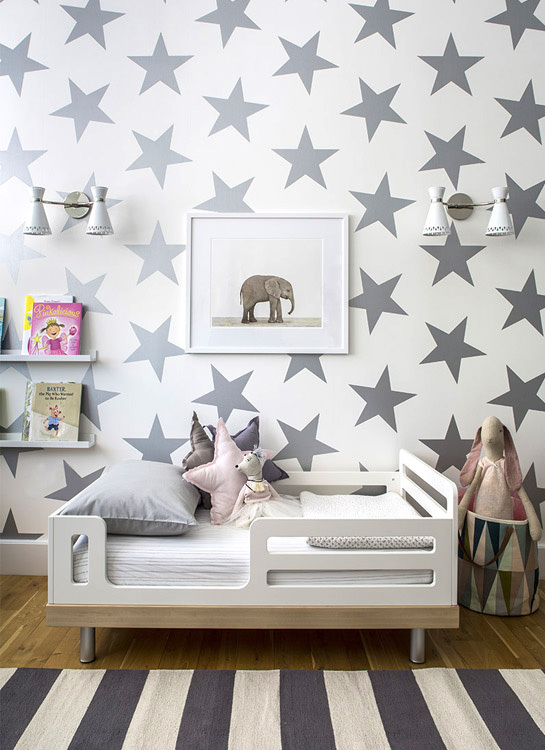 I really love this Lucky Star Wallpaper from Sissy and Marley but at £145 a roll it was a bit pricey (and I could only find one UK stockist)! 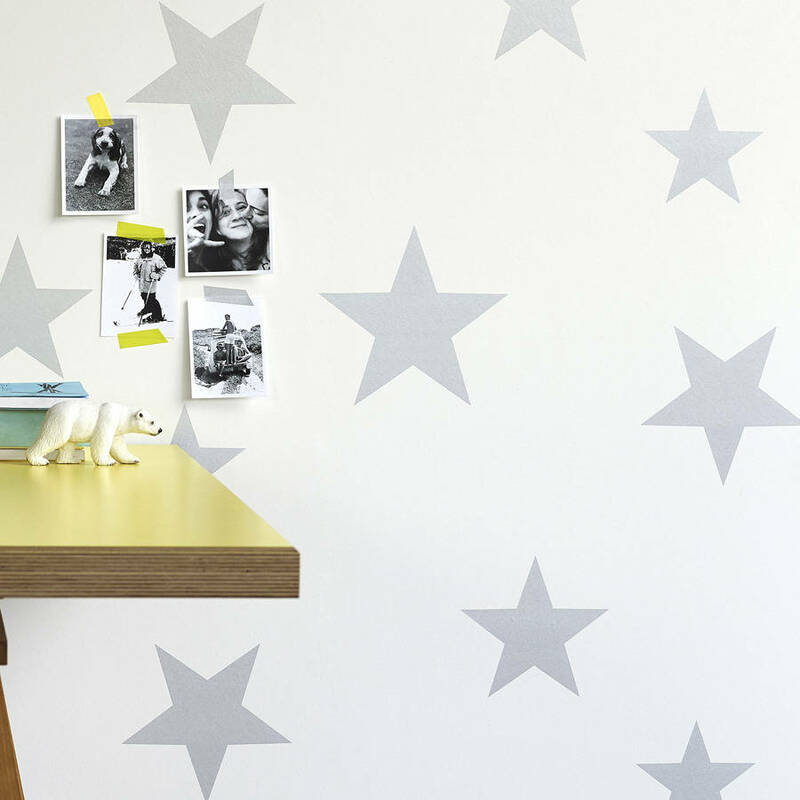 but I did find this very similar design at just less than half the price, Stars Wallpaper by Hibou Homes available from Not On The High Street. I love it’s clean and crisp look. 5. 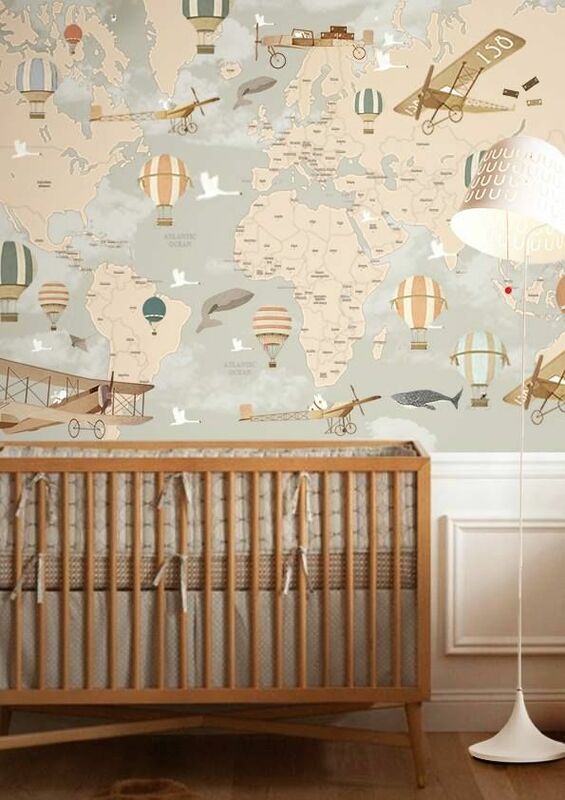 This was the one wallpaper that made my heart skip a beat, it was a little bit of love at first sight, Balloon Ride World Map by Little Hands Illustration. Typically it is the most expensive option, but it is made to measure to fit your room perfectly. I think it would look beautiful on the nursery wall and could be something that could be adapted with the room as our little one grows older. As I didn’t get to prepare a nursery first time round I am so excited to make our little mans room perfect, and I think it will take a bit of time for me to decide on the ideal look. What do you think, which wallpaper is your favourite? I’d love to hear. Oh its so fun decorating the nursery, I love every single one of those wallpapers. I nearly did the star one in my twins bedroom but in pink! These are lovely choices and not one of them is too childish. I love how gender neutral they are too. 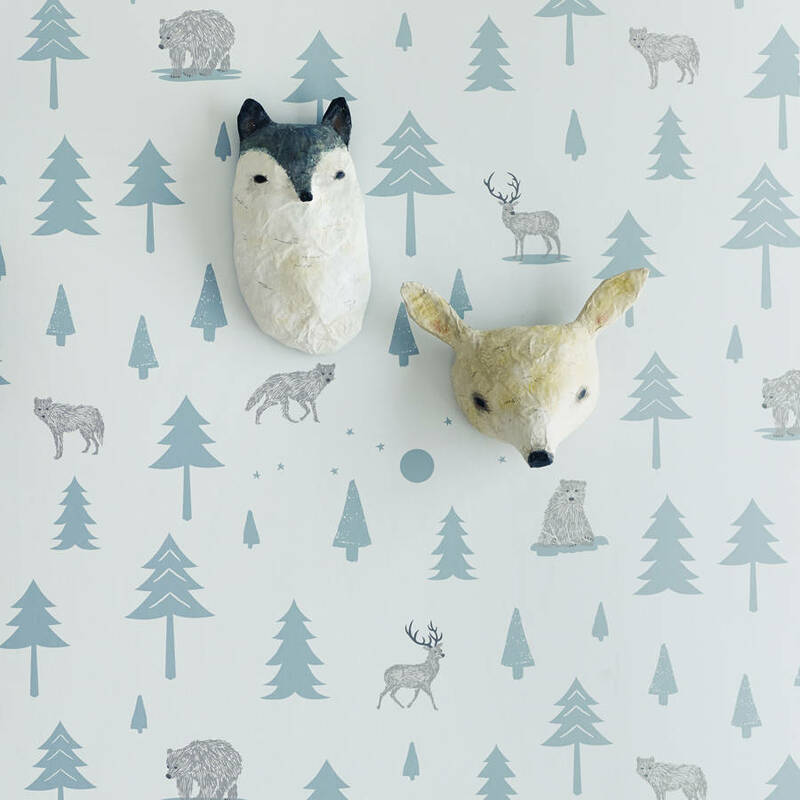 These are all lovely – we must have very similar taste as we have the Into the Wild wallpaper in our twins’ nursery (there are pics on my blog! ), we also have a cushion with the Scion fox and we have the Cole & Son wallpaper (just the version without the stars) in our front room!! 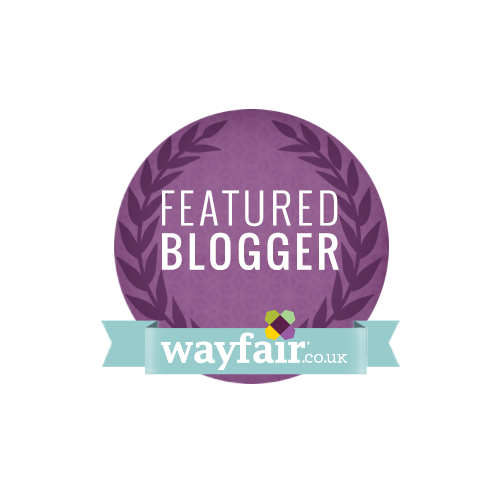 Gemma @ Two Little Misters recently posted…Project Toy Box!